In 1999, the Janjira nuclear plant was mysteriously destroyed with most hands lost including supervisor Joe Brody's colleague and wife, Sandra. Years later, Joe's son, Ford, a US Navy ordnance disposal officer, must go to Japan to help his estranged father who obsessively searches for the truth of the incident. In doing so, father and son discover the disaster's secret cause on the wreck's very grounds. This enables them to witness the reawakening of a terrible threat to all of Humanity, which is made all the worse with a second secret revival elsewhere. 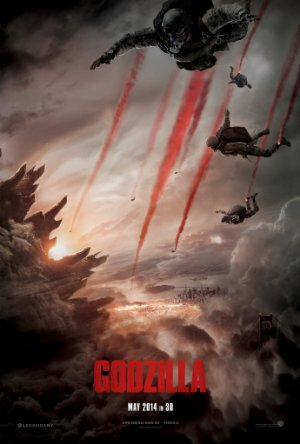 Against this cataclysm, the only hope for the world may be Godzilla, but the challenge for the King of the Monsters will be great even as Humanity struggles to understand the destructive ally they have.